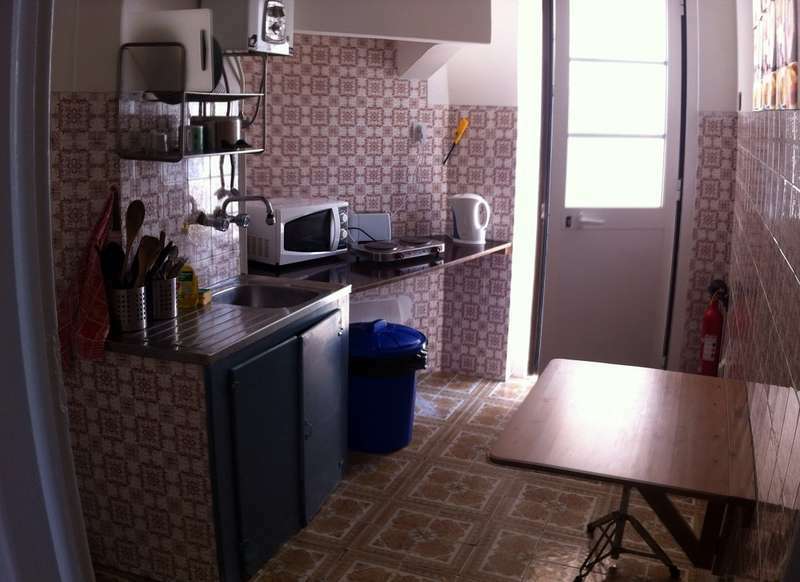 Lone Surfer Ericeira offers private and shared rooms overlooking the Atlantic Ocean. 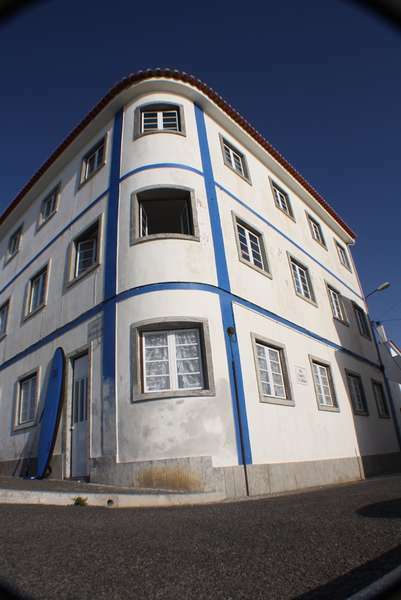 It includes free Wi-Fi access and public parking 50 metres from Ericeira’s beach. Rooms are bright and airy. Some rooms offer panoramic ocean views while others offer partial views. Bathroom facilities are shared. Guests can use Lone Surfer’s kitchen to prepare their meals and enjoy them al fresco, in the balcony. The living room offers a relaxed setting to mingle with other guests and share experiences. If you feel like giving surf a try we have boards, suits and boots for rent and very friendly local surfer buddies ready to show you a good time. We can also show you around the local historic beauties like the convent in Mafra, Óbidos Castle or Sintra. From the Airport: Metro Red line to Saldanha, in Saldanha change to the Yellow Line up to Camp Grande (metro fees: 0,50€). In Campo Grande take a Mafrense Buss to Ericeira (fee: 4,20€ to 8€). After youy've arrived to Ericeira Bus Station it's only a 5 min. walk (heading north), we're on the left side of the main road, in front of a big parking lot overlooking the sea. We have no specific cancellation policies. We just ask you to be considerate and cancel ,at least, three days prior to your arrival date. Check out at 12:00 o'clock. If you leave your room latter we will charge you an extra day. No smoking is allowed indoors, but you can smoke in the balcony.